Houston Safari Club Foundation (HSCF) has announced its online auctions are now live and ready for bidding! Items include hunting and fishing trips from around the world, jewelry, artwork and more! Auctions will be paired to culminate with 3 live auctions to be held at HSCF’s annual Convention and Hunting Expo. Bidders may click on tabs for separate auctions, each ending at different times. Bidders should also be sure to check out the “Online Only” auction tab which will allow bidding now through Sunday, January 27th at 3:00 pm CST. Bid here today! 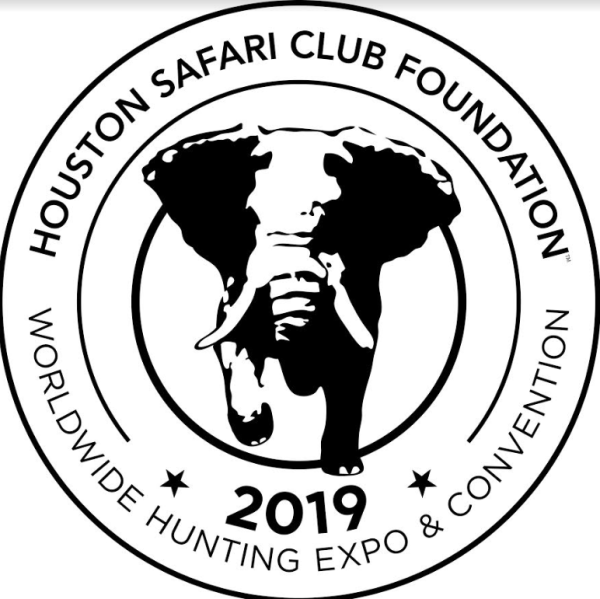 Registration for HSCF’s 2019 Worldwide Convention and Hunting Expo is now open. The event will take place January 25-27, 2019 in downtown Houston at the George R. Brown (GRB) Convention Center. HSCF’s Annual Worldwide Convention and Hunting Expo celebrates wildlife, wild places and the sporting lifestyle for thousands of visitors and exhibitors. The three-day long exposition will feature hundreds of exhibitors from South Texas to South Africa and everywhere in between. In addition, HSC will host incredible fundraising events including the Friday Night Banquet & Hunting Awards, Saturday Gazelles Luncheon and the Saturday Night Grand Gala. Entertainment will include Texas singers, songwriters (and hunters), Corey Morrow and Kevin Fowler! Expo days and hours: Friday, January 25: 10am-6pm; Saturday, January 26: 9am-5pm; Saturday, January 27: 10am-3pm. Those purchasing a HSCF Membership at the door will receive a free 3-day Expo pass. General Admission Day Pass: $10 per day; Weekend Pass: $25 to attend all 3 days; Children under 12 & Active Military with ID receive free entry. The host hotel, Hilton Americas-Houston, will be the location for all banquets and luncheons. You’re your room today in the HSCF Convention Room block for great rates! Register before December 1st to take advantage of early bird pricing. Purchase tickets athscfdn.org/convention/attendees/. For exhibitors, very few booths remain. Booth information may be found here. HSC sincerely thanks its latest Convention sponsors: Wildlife Partners, Capital Farm Credit, Enterprise Products Partners L.P., Conroe Taxidermy, NRA Women’s Leadership Forum, S&B Engineering, Global Rescue, Art by L. Mower, B&B Taxidermy, Travel With Guns and Sixsite Gear.